Dan Zampirro took these “now” pictures recently on a trip through the Carson River Canyon. 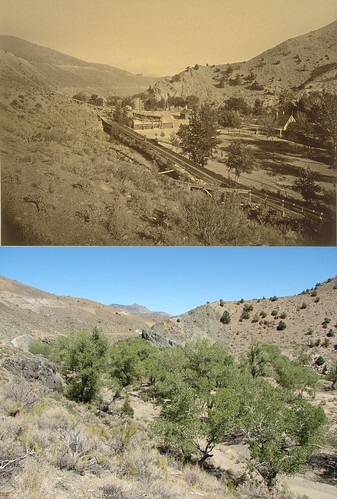 His trip followed the old route of the V&T Railroad, which you can see etched into the side of the hill in some of the photos. 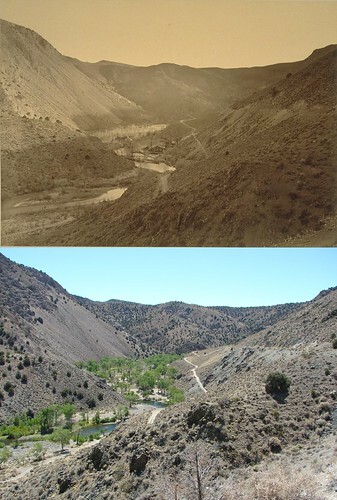 This is the same route the future V&T Reconstruction project will take through the canyon. It was also the route taken by famed photographer Carleton Watkins back in the 1870s. 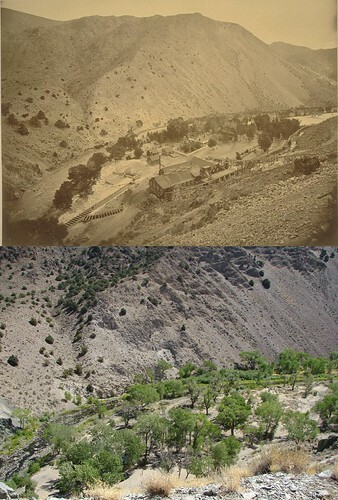 Back then many ore mills dotted the banks of the river at the bottom of the canyon. The mills are long since gone, their sites reclaimed by nature. 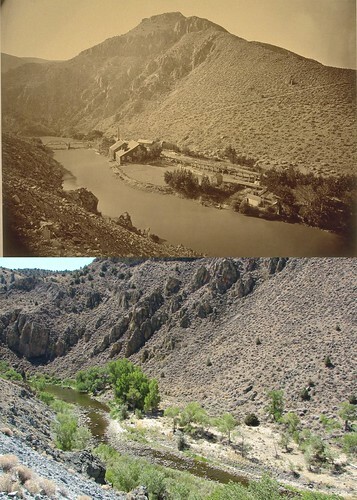 Dan sent me these pictures asking that I match them up with Watkins originals, showing how much the canyon has changed in 130 years, and yet how little it has changed. Thanks to Dan for submitting these shots! Thank you for sharing these incredible shots. 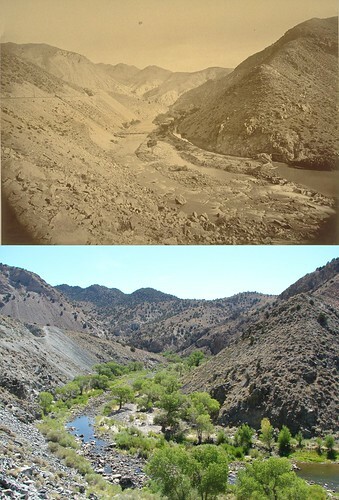 This picts are really amazing and the changes are evident on the Carson River Canyon. I was there two years ago but hadn’t seen the old pictures of the place. Those mills made the landscape even more fascinating. Great shots. These are by far my favorite types of photographs. I love these passage of time combos – so different, yet the river so unchanged (even to the seasonal wide spots). Thanks! Anonymous Guest above was me – I didn’t realize I wasn’t signed in, and wanted you to know I’m a regular reader.